The Internet of Things (IoT) movement is spilling into the garden. Think of it as an offshoot (pun intended) of the larger connected-home phenomenon, albeit a somewhat disheveled growth that will eventually need some tidying. That’s where Israeli IoT startup GreenIQ thinks it can help. The second-generation GreenIQ Smart Garden Hub is now available at The Home Depot, the company announced Tuesday. 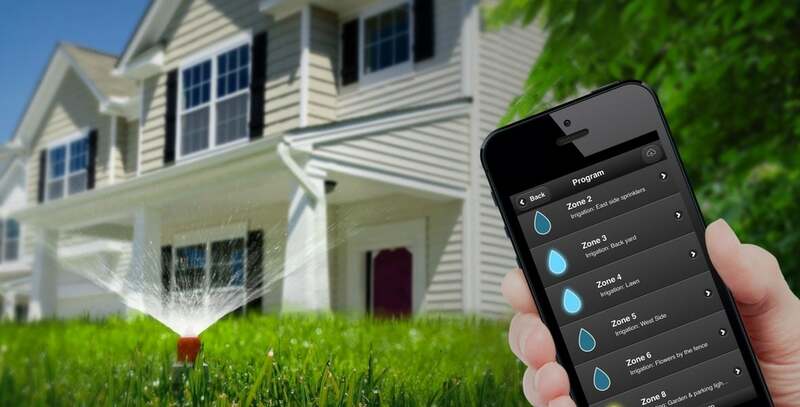 On the face of it, the $250 device is one of a rising crop of Internet-connected irrigation controllers that dynamically tweak their watering schedule based on prevailing and expected weather conditions, conserving water and saving money in the process. The GreenIQ links to an app so you can monitor and schedule your irrigation system according to your landscaping's requirements. This 6-zone smart irrigation controller, it is claimed, can cut your outdoor water consumption by as much as half. It connects to the internet via your home Wi-Fi and has apps for iOS, Android, PC, and Mac. The waterproof device supports 24 VAC valves and can be connected to an analog rain sensor as well as up to three additional analog sensors. But there’s more than meets the eye. Turns out the “Hub” in its name carries its usual meaning and is what sets it apart from other smart irrigation controllers. Why this matters: “Nest for the garden” is how the company likes to describe the Smart Garden Hub, and this isn’t so much an attempt at flattery as it is a statement of intent. GreenIQ is essentially saying that its Smart Garden Hub can do in the garden what Nest has accomplished in the home with its Works with Nest program: getting different devices to work in unison around it.